The Northwest Missouri State University Symphony Orchestra will host a Veterans Day celebration concert at 3 p.m. Sunday, Nov. 11, in the Charles Johnson Theater at the Olive DeLuce Fine Arts building. The concert, which is free and open to the public, will feature a special “Armed Forces Salute” to honor the individuals who have served or are currently serving in the United States military. The concert will feature work by award-winning Northwest alumnus Robert Langenfeld. The Symphony Orchestra also will perform pieces by Aaron Copland, Franz Joseph Haydn and Hector Berlioz. The Northwest Symphony Orchestra is a full orchestra consisting of woodwinds, brass, percussion and strings. It performs concerts during the fall and spring semesters. 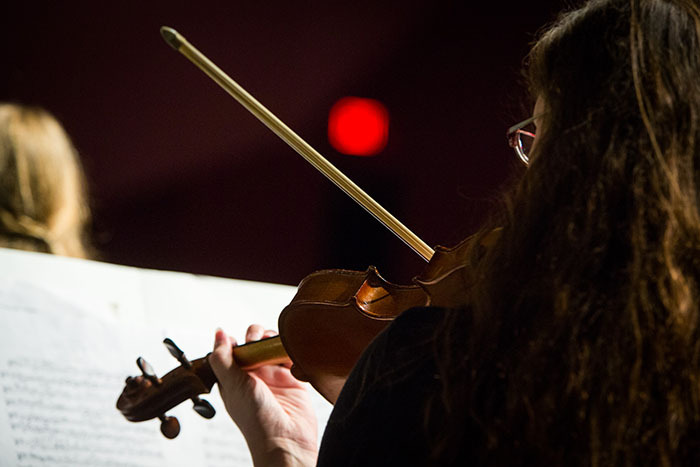 The ensemble is open to all students on campus, regardless of major. Musical selections range from the Baroque to the Modern periods, with a mixture of styles.